Leading Manufacturer of stainless steel tank, stainless steel tanks, ss acid storage tanks, stainless steel drums and stainless steel shipping drums from Mumbai. 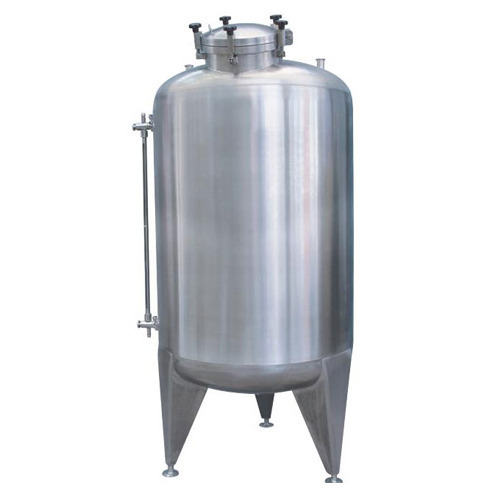 We design & fabricate a varied range of Stainless Steel Storage Tank Made from high quality stainless steel material, our stainless storage tanks are widely used for storing end products before packaging. Ensuring hygiene and maintaining a sterile environment, products in these storage tanks remain free from contamination. Available in various configurations and capacities, these stainless steel storage tanks are durable and cost-effective. The orientation of a storage vessel can either be vertical or horizontal. 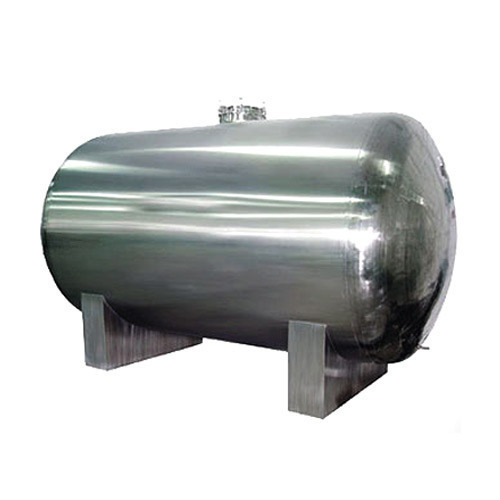 We offer Stainless Steel Tank, which is available with in-built heating filament with temperature. Made using quality grades of raw material, these ensure durability. Use of high grades of nickel avoids corrosion and offer the product desired durability and strength. We offer a qualitative range of Acid Storage Tanks that is used for various purposes including storage, mixing and separation of raw materials. These tanks are fabricated using optimum grade raw material that ensure high durability with low maintenance cost. Implementing new design in the production process helps to saves installation time and easy maintenance. Moreover, these tanks are offered in different technical specifications or as demanded by the clients. 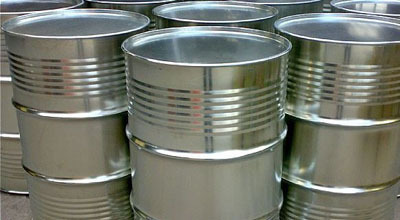 New Stainless Steel Drums 304 And 316 grade quality offered Specially designed for storage, shipping and handling of foods and chemicals where product integrity and purity are important. Superior performance in corrosion resistance, tensile strength and re-usability. Full open top and narrow mouth drums available as per clients specification in mirror finish and mat finish. We also undertake customized fabrication work as per clients specification. 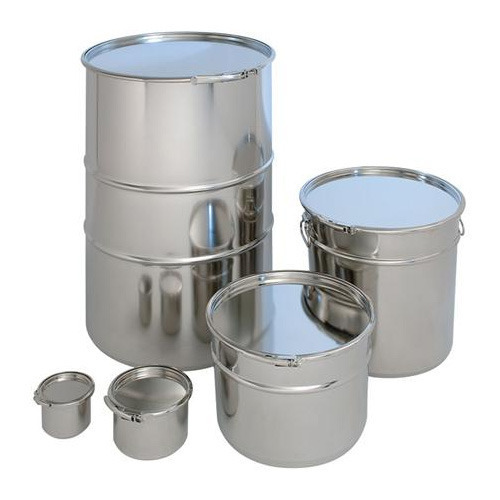 Stainless Steel Shipping Drums 304 Quality and 316 quality offered Specially designed for storage, shipping and handling of foods and chemicals where product integrity and purity are important. Superior performance in corrosion resistance, tensile strength and re-usability. Full open top and narrow mouth drums available as per clients specification in mirror finish and mat finish. We also undertake customized fabrication work as per clients specification. 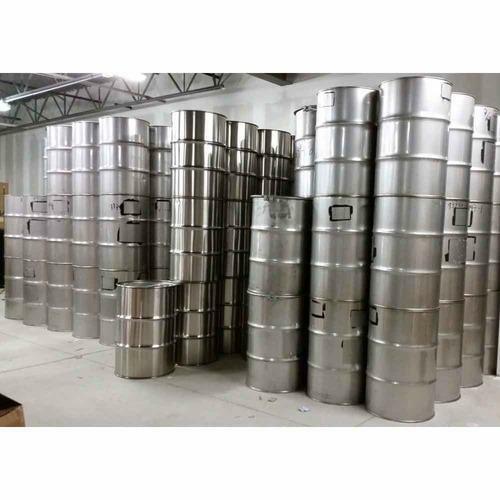 Looking for “Stainless Steel Storage Tanks”?